Thanks to her many thousands of volunteer hours, our good friend Judy Nyman-Schaaf was awarded an inside visit with the zoo's lemurs, and she shared the amazing experience with Cheri and me. 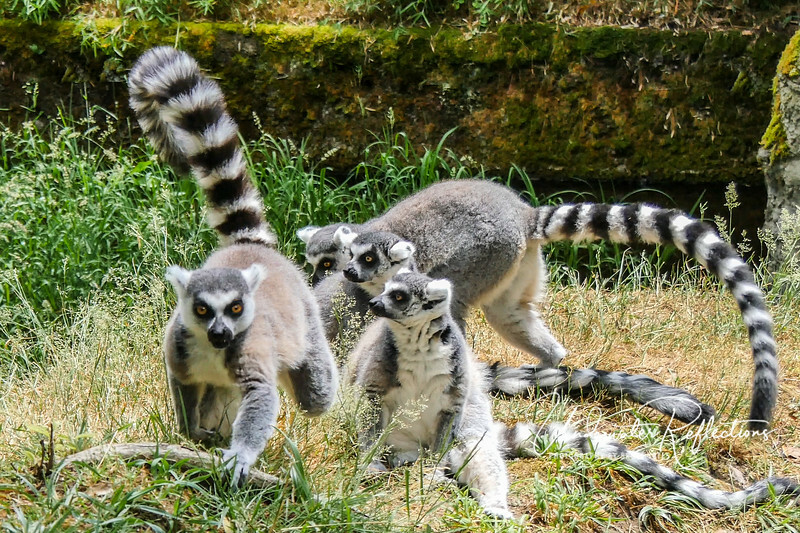 Ring-tailed lemurs are strepsirrhine primates in the Lemuradae family, and are native to Madagascar. I assumed that their big, bright eyes meant they must hunt/feed at night, but they are actually diurnal, active only during the day. They are omnivores. They are also VERY VERY cool!